For years, the U.S. Census has been projecting that racial minorities counted as one block will become the numerical majority by 2042. These reports have garnered a flood of coverage in the media, sparked commentary from pundits, and fueled the rhetoric of several recent political campaigns. But, as Richeson explained, the census team tasked with crunching the numbers on race in America didn’t fully anticipate how communicating their findings on this demographic shift might have unintended consequences for racial attitudes and race relations in the U.S. 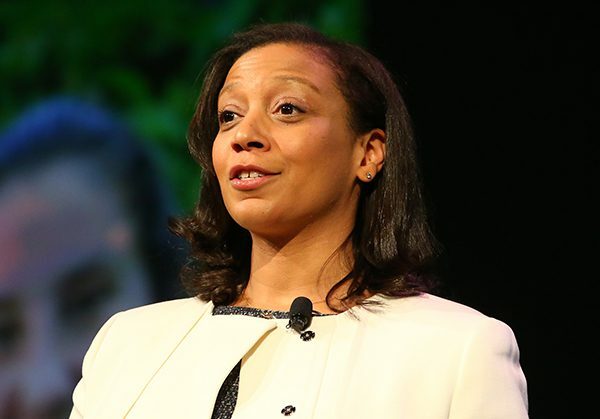 In her Bring the Family Address at the 30th APS Annual Convention, APS Past Board Member Jennifer Richeson (Yale University) spoke about her award-winning research that illuminated how these consequences manifested in the United States. Her work on this and related topics has earned her a number of honors, including a MacArthur Genius Grant and a Guggenheim fellowship. In study after study, Richeson, largely in collaboration with Maureen Craig (New York University), has found that when projections of the majority-minority demographic shift are made salient, White American participants consistently respond with more negative attitudes about and towards other racial groups. Richeson also noted that both she and a number of other researchers have also found that exposure to the majority-minority projections increase support for politically conservative political candidates and policies, including those that oppose diversity. “Diversity is valuable, but it is also challenging; thus, it is constantly being challenged across politics and policy,” Richeson explained. This phenomenon extends well beyond the United States, Richeson emphasized. Research has shown similar reactions among White populations living in Canada, the United Kingdom, and Italy. Investigating people’s reactions to a shift in demographics illuminates the broad psychological, social, and political implications of shifting demographics on our democracy, she said. At the heart of the paradox of diversity is this classic concept of group status threat: there is a sense that if an outgroup experiences an increase in status, “they” will usurp “our” position of influence in society. There is also a sense that cultural norms about what it means to be an American are at stake. An increase in diversity for some means the gradual erosion of Whiteness as an identity touchstone of what it means to be an American. This shift rightward occurs regardless of whether policies being considered were race neutral or decidedly race-related, and occurs across self-identified liberals, moderates, and conservatives alike. When people are made aware of the shifting racial demographics, status threat is triggered for many Americans. That leads them to endorse more politically conservative ideology, support conservative policies, and favor conservative candidates. Psychological and political scientists have observed this effect time and time again, Richeson added. “This is not the psychology of White people, it is a psychology of groups and relative position,” Richeson explained. Indeed, White Americans aren’t the only people exposed to and aware of these shifting national demographics. Hispanics are the racial group with the largest share of population growth. So Richeson was interested in seeing whether non-Hispanic minorities would reveal similar responses to these demographic changes as found for White Americans. When Black and Asian-American participants were exposed to information about shifting racial demographics that focused on Hispanic growth, indeed, they also showed increased support for conservative policy positions, a great tendency to personally identify as politically conservative, and even an increase in warmth towards Republicans. Scientists also need to be cognizant and skeptical of the way race has been defined in this majority-minority shift. In Census projections where individuals who check-off White and anything else are counted as Whites, she added, the majority-minority shift moves back several decades. Richeson noted that one straightforward intervention against status threat is to remind people of the actual relative status of racial groups—the actual racial inequality — that persists across a number of domains in the United States. Most Americans are unaware of the true extent of their country’s racial inequity, she pointed out. 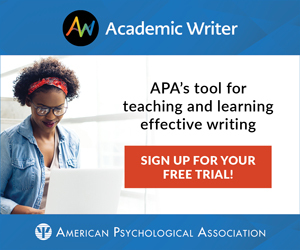 To hear more about Richeson’s career, see her 2016 interview for the APS video series Inside the Psychologist’s Studio.